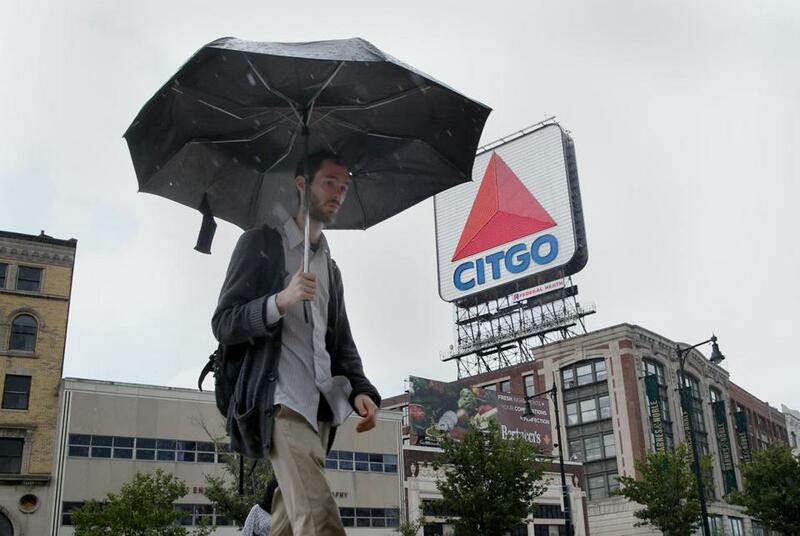 The Citgo sign in Kenmore Square. Development firm Related Beal closed Friday on its purchase from Boston University of nine buildings in Kenmore Square, including the six-story building that houses the iconic Citgo sign. Related paid about $140 million, according to a source familiar with the deal, for the collection of older office buildings with storefronts along Beacon Street and Commonwealth Avenue. They also acquired control of the famous sign, for which Citgo leases space atop 660 Beacon St.
It’s an icon that could yet become a bit of a headache. The Boston Landmarks Commission appears poised to declare the half-century-old sign an official city landmark, which could hinder development on the site. Members of the commission are hammering out details — such as how high the sign can be and if it could be moved slightly — and a final vote is likely early next year. Since putting the site under contract in August, Related has said nothing publicly about its plans for the buildings, and the company declined comment Friday. Nor has the development firm talked with City Hall, a senior official at the Boston Planning & Development Agency said this week. Still, BU has said it believes the sign adds to the value of the parcels, and city officials have been optimistic that a solution can be worked out that keeps the sign while enabling a successful project there. BU put the buildings up for sale in January, the final move in a decades-long push to redevelop the once-grungy square that serves as its front door. They hired real estate firm Newmark Grubb Knight Frank to find a buyer who could build on the neighborhood’s redevelopment. Ultimately they settled on Related Beal — the product of a 2013 merger between New York-based development giant Related Cos. and local stalwart The Beal Cos. — which is taking on a number of complex mixed-use projects around Boston. BU plans to use proceeds from the sale for its core academic and research programs.